Over the past couple of years, I have been crocheting up quite a storm. I even started crocheting before I started my baking obsession. 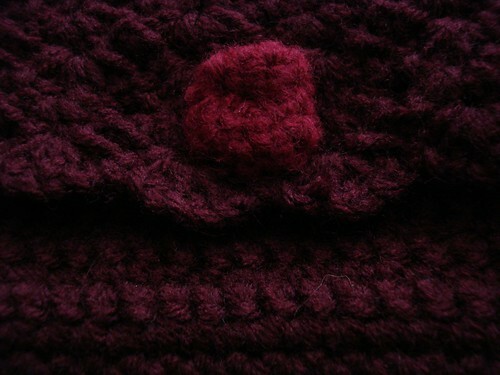 I don’t know how it got started, but I knew I wanted to knit, but I found it too complicated, so I went to crocheting. 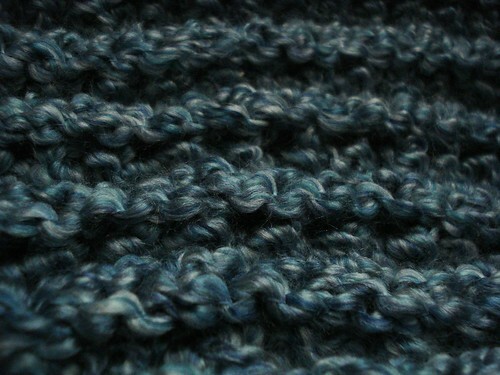 Maybe someday in the future I will try to learn knitting again. For now though, crocheting is just as much fun. I have made some scarves and a couple amis, but these two projects took me a long time. I had to wait to share my projects because I gave these all as Christmas presents. Don’t want to spoil the surprises! This first one was my first ever blanket. I started to crochet it about 5 years ago. I have been working on it on and off. I am so glad it is done and I was able to give it to my very good cousin as a Christmas gift. 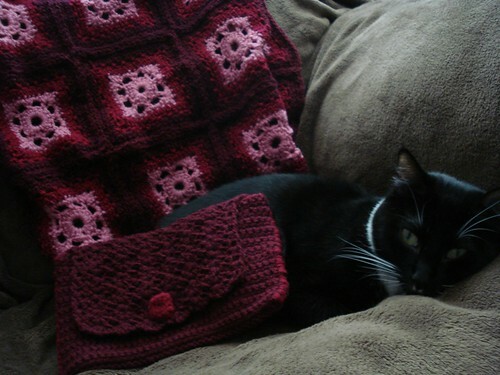 I hope she can enjoy the first blanket that I enjoyed making. 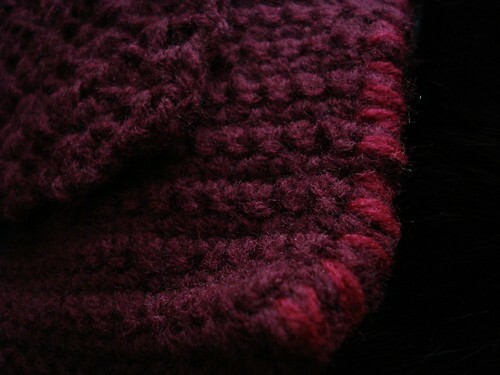 I got this pattern from Lion Brand Yarns. It’s called a Crochet Waterfall Throw. If you would like the pattern, register at their website and look this pattern up. It’s free! Just click here to register. This next project was my first attempt at the granny square. I decided to make a throw. It’s not as big as a blanket, so it’s more like for decoration… maybe on a couch or bed. I love the color combination! I also like working with granny squares because you can just work on this project one square at a time so it’s very portable. You don’t have to lug the whole project with you. I was so proud when I finished this throw. 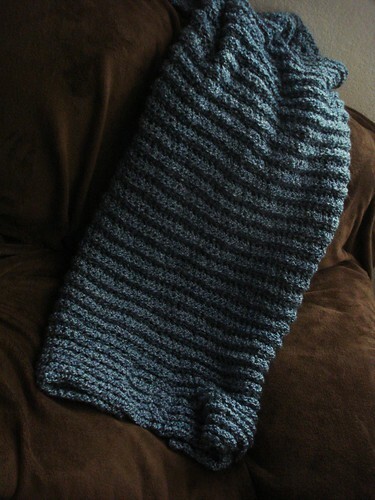 I crocheted this throw mainly while I was unemployed and looking for a job. It definitely made the time go by quicker. I also gave away as a Christmas present because I like to share my joys with the people I love! I had some yarn leftover after finishing the granny square throw, so it was put to good use and I made a mini purse. Oh look, my cat found a nice resting spot. 🙂 I gave this to one of my little cousins. I decided to make the stitching on the purse a different color. It sure does give it a little more color. The button doesn’t look too shabby either. 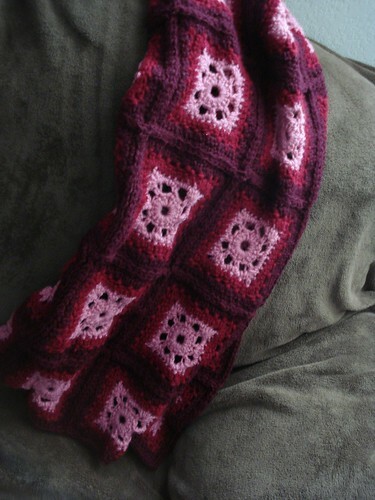 You can find this pattern on the Lion Brands Yarn website as well. It’s called “Perfect Purse.” Same deal. Just register at Lion Brand Yarns and it’s free! Happy crocheting and Happy New Year! 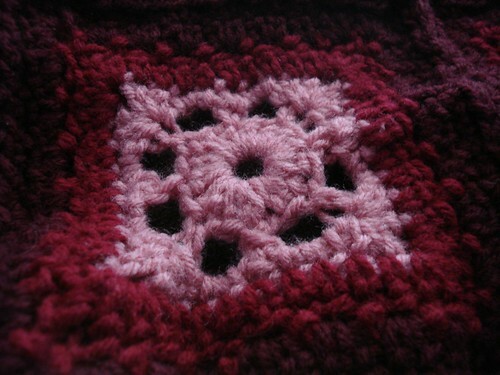 This entry was posted in Crochet and tagged crochet, granny squares, hand made, purses, throws on December 31, 2010 by Krystal.